I was very impressed with the level of service from this company and very pleased with the quality and appearance of the furniture and would definitely recommend to others. NEW - Stock arriving at our warehouse around 01/06/2019. Don't miss out, pre-order yours today. 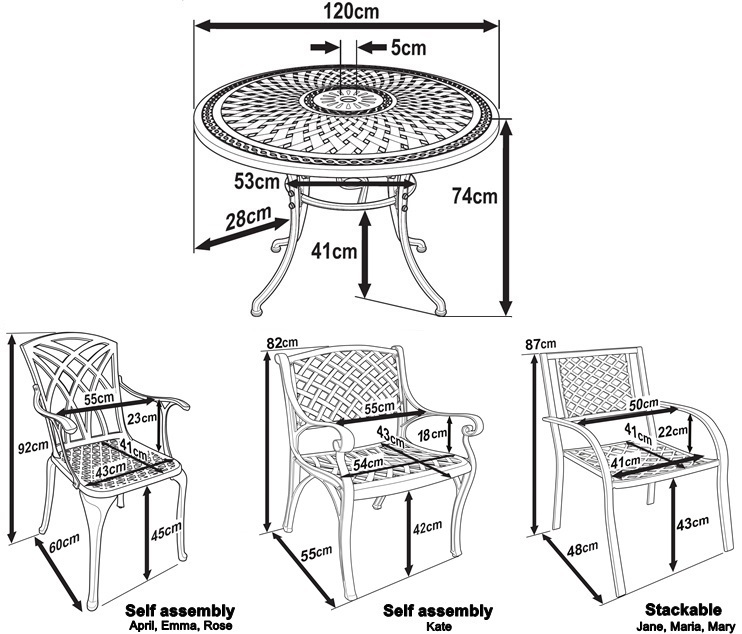 The Alice table & 6 chair set in Slate Grey brings a subtle touch of contemporary class to our beautiful, classic-style garden furniture range. 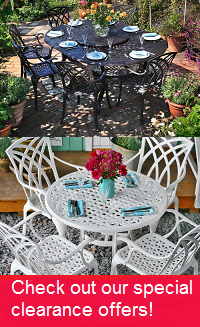 If you're looking to achieve the perfect picture of luxury in your garden, take a look at the Alice in brilliant White or our ever-popular Antique Bronze. Our customer service team are here to answer any questions you may have, and are also available to process orders over the phone. To get in contact with a member of our friendly, helpful customer service team, call us on 01243 717197, or email us at [email protected]. At Lazy Susan we aim to answer all emails within 2 hours during normal office hours. Samples of cushion colours and the different metal finishes of our garden furniture can be sent out on request. Please visit our sample request form and we will post the samples out to you on a per-request basis.